April 2, 2019 April 2, 2019 by Vinay Leo R.
Some books come my way out of the blue, so to speak. I was discussing books that I love with a former friend and we chanced upon the fact that I’ve read (and liked) very few books in the genre of romance. It was her recommendation that I try this book with an open mind, and I might like it. I purchased it and read it soon. Turns out, the book was quite good. 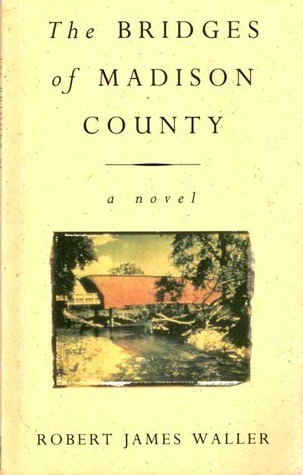 Waller’s novel (or novella) The Bridges of Madison County brings us two characters basically – the charming photographer Robert Kincaid who visits Madison County to do a piece for National Geographic about the covered bridges in the county; and Francesca Johnson, who Robert asks for directions to a particular bridge. A love affair soon develops, and the story follows that. The one who recommended it to me mentioned something about keeping an open mind. It is essential because the story here isn’t a conventional romance but an adulterous one. Some readers would look past that and realize the depth of love that the author shows between Francesca and Robert. Others might frown upon it. Most certainly, the time period in which the story is set offers challenges to the couple’s love. It can be noticed in Francesca’s uncertainty at the start of the affair. Robert is all that she dreamed of, and all that her husband isn’t. She has to hide this new found love from the eyes of society too, knowing they would not understand it. Is this a successful love story? Yes and no. Yes because it shows a love so deep that it survives even the distance and silence between them toward the end. No, because in the end, Francesca is left with some choices to make, and one can understand the choice she makes. It still resonates at the “intersection”. If you are willing to try a different kind of love story, I think this is a good bet for you. It’s poetic, engaging and well developed. It’s one book I plan on rereading later this year. I’m in love with covered bridges! I havent seen one during my travels in Europe, it took a visit to the US to discover them. They’re pretty cool I think. Seems like an interesting book!! It is interesting. Hope you enjoy it if you pick it up 🙂 Thank you, The Dream Girl. I loved this one. I could somehow never associate the negative connotations of ‘adultery’ with the love between Robert and Francesca. Their bond os special and beautiful. Neither can I, Tulika, because the love was deep, special and beautiful like you mention. I really loved this one when I read it. I think it’s time to re-visit it now. I hope you enjoy your revisit to Madison County. Thanks Noor.